The healthcare industry is a dynamic and growing field in the United States. This is one reason as to why traditionally non-medical companies like Google and Apple; as well as Amazon, Berkshire Hathaway and Chase Bank have all entered the healthcare industry. As the United States healthcare system adjust to the demands of the 21st century, the state of Ohio is increasingly expanding its presence in the healthcare industry. Ohio now has a significant amount of healthcare insurance companies, pharmaceutical and medical innovation as well as nationally-ranked hospitals/health systems. Across the nation, over 100 hospitals and clinics have partnered with Apple’s new health records project. In 2018, The technology company released plans to integrate patient health records into its Health app as part of the iOS 11.3 beta rollout. Apple’s goal is to provide medical patients with easier access to their healthcare data. Something is a challenge since medical information is often separated between multiple clinics, hospitals and caregivers. The hope is that one day patients are able to access secure medical records from an iPhone as easily as they can check their email. 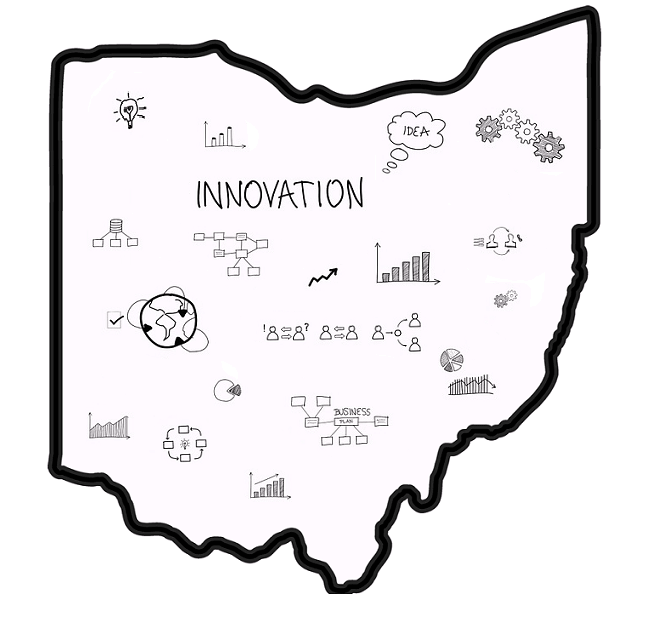 Other Ohio hospitals and health systems are also recognized as having a reputation for healthcare innovation. A culture of innovation is usually demonstrated by the presence of departments, organizations and institutions that promote research and development. This includes process redesign, health care delivery and coordination improvements as well as the integration of new medically-focused information technology. In Dayton, Ohio, three locally based healthcare institutions have formed a partnership. Dayton Children’s Hospital, Premier Health Partners and Kettering Health Network have created an organization called Ascend Innovations. This started as a partnership between the Greater Dayton Area Hospital Association (GDAHA) and Kaleidoscope, a product design firm. The purpose of Ascend Innovations was to focus on developing commercially viable healthcare services and products that would benefit the Greater Dayton region. As of 2017, the organization is providing risk assessment, insights into clinical research and cancer treatments from a database of 14 million unique patient encounters. At Children’s Hospital’s Center for Patient Experience Innovation in Akron, Ohio; there is a holistic focus on improving patient treatment outcomes. The center’s goal is to improve treatment outcomes by providing patients, as well as their families, with emotional and cognitive support throughout the healthcare treatment process. The Akron-based program is dedicated to developing new services approaches and interventions for their patients. There is also a focus on the telemedicine through the Center for Telehealth Service Design. This center performs research on ways to improve treatment and the delivery of care through the application of telemedicine. In Columbus, Ohio, Nationwide Children’s Hospital’s Center of Innovation in Pediatric Practice is developing new technologies communication with pediatric patients, improve care and study the cost-effectiveness of new medical technologies. A driving goal of the Center is to improve the health of children and their families through research on new delivery methods for health services. This includes new computer and information technologies as well as new statistical and communication techniques. According to U.S. News & World Report, other Ohio health systems and hospitals that continually make the national rankings for healthcare include the Cleveland Clinic, Cincinnati Children’s Hospital Medical Center and Ohio State University Wexner Medical Center. The Cleveland Clinic in Cleveland, Ohio is ranked number two in the United States for Best Hospitals Honor Roll. It is nationally ranked in 14th place for adult and 10th place for pediatric specialties. They also are rated high performing in 1 adult specialty and 9 medical procedures and conditions. Cincinnati Children’s Hospital Medical Center is ranked number two in the nation on the Best Children’s Honor Roll. In addition, the medical center is ranked 10th in the nation for pediatric specialties. The OSU Wexner Medical Center in Columbus, Ohio is nationally ranked in 10th for adult specialties. They are highly rated performing in 2 adult specialties and 8 for medical procedures and conditions. Across the nation, only 26 hospitals out of over 4,500 that are nationally ranked 10th for adult specialties. Contact us at ABCS RCM for additional questions about this topic or general questions about healthcare revenue cycle management services. Join our subscription list in order to receive the latest healthcare industry news and advice. Welcome! You have successfully subscribed.